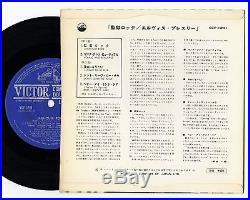 ELVIS PRESLEY JAPANESE ORIGINAL 33RPM EP. See picture for scratches or damages. The photo gives priority to the condition. PS IS MINT- / EX++++ condition. Rare Japan only 33rpm living stereo blue solid label ep. I Want To Be Free. Baby I Don't Care. Don't Leave Me Now. It is not applied in the case of the damage. 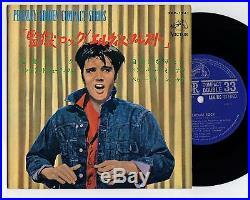 The item "Elvis Presley 1965 Japan Stereo 33rpm EP JAILHOUSE ROCK Japanese 2" is in sale since Sunday, September 21, 2014. This item is in the category "Music\Records". The seller is "f227" and is located in JAPAN.